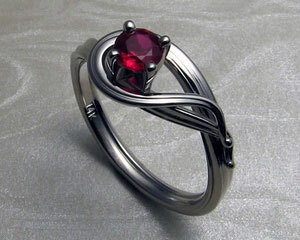 Contemporary Art-Nouveau style engagement ring, with ruby. 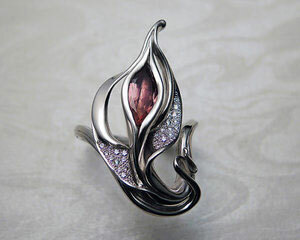 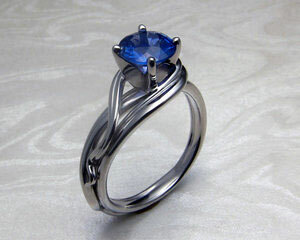 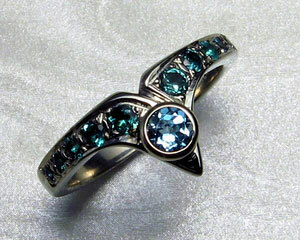 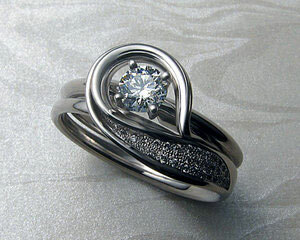 Art-Nouveau style engagement ring. 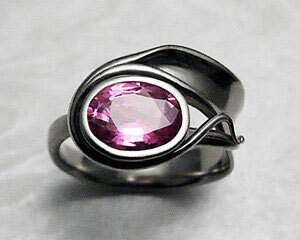 Ruby set in 4-prong setting. 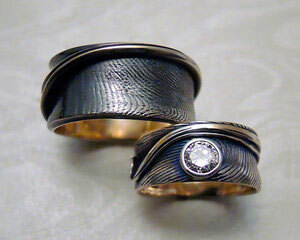 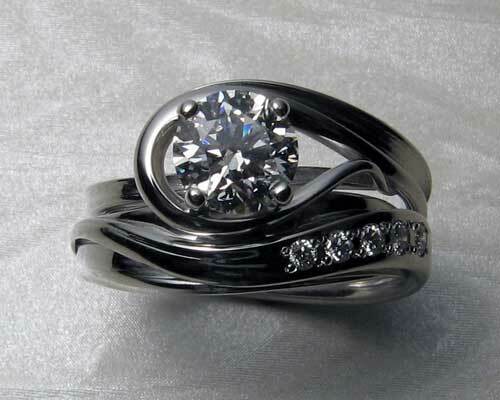 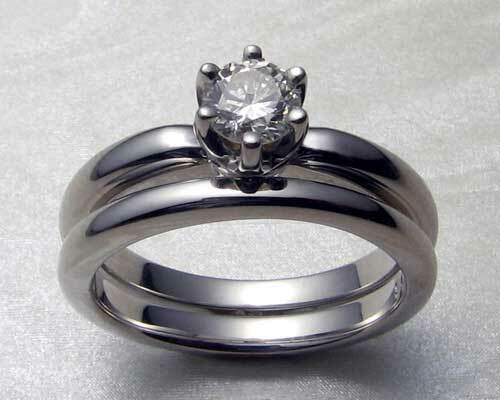 14k white gold with rhodium finish.